Quiet and sunny position, surrounded by fruit orchards, comfortable rooms and apartments & wonderful sunbathing lawn for relaxing. 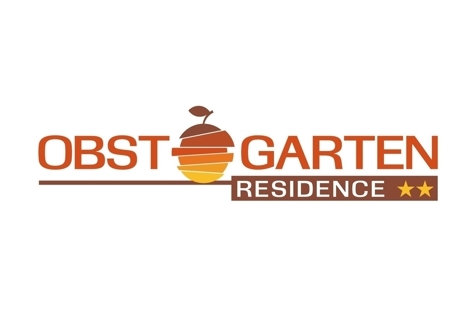 Welcome to Pension Residence Obstgarten in Goldrain! 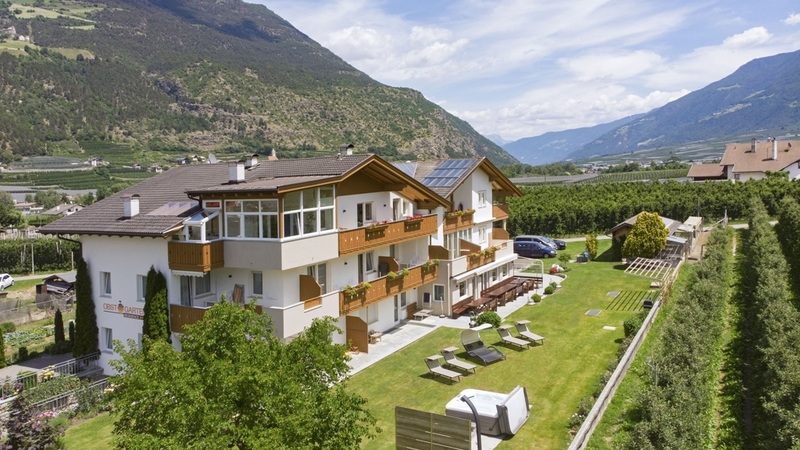 Enjoy your holidays in the familiar and relaxing atmosphere of boarding house and residence Obstgarten in the beautiful village Goldrain nearby Latsch in Vinschgau. Our house is located in a really quiet and sunny position, surrounded by orchards (Obstgarten means orchard) and with a wonderful view of the Martelltal Valley. Our cosy rooms are equipped with shower, WC and on request also TV. They offer mostly a south balcony with a wonderful outlook on the mountains of the Nationalpark Stilfserjoch. Our rich breakfast with typical South Tyrolean products is the perfect start in an exciting day in the beautiful nature. Furthermore we offer our guests new and comfortable holiday apartments in different sizes, which offer all a fully equipped kitchen and a wonderful south or south-west balcony or a terrace. Our quiet lawn for sunbathing invites you to relax. Goldrain is about 25 km from the popular spa town Meran away and it is a perfect starting point for wonderful hikes, trips with the bicycle, mountain bike tours and much more. Enjoy some relaxing moments and the mild climate of Vinschgau in our boarding house and Residence Obstgarten.